For this weeks From Page To Screen I'll be comparing the book turned film Cirque Du Freak by Darren Shan. Here is a bit of back story in case some of you aren't familiar with the novel. 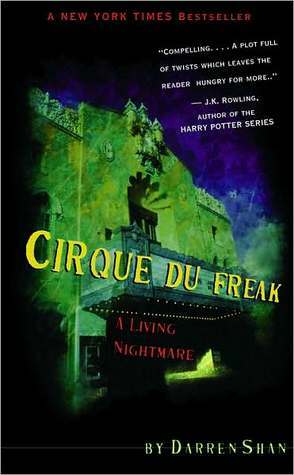 Cirque Du Freak is a novel written by Author Darren Shan. The book was originally published January 4, 2000 by Harper Collins. The book follows the life of a boy who has become part of the world of Vampires. Cirque Du Freak has been published in over 33 countries and is written in over 30 different languages. Darren Shan- A happy go lucky teenage boy who unwittingly becomes a vampire. Darren is described as being loyal to a fault and also very stubborn. Steve Leonard- Darren's "secret" best friend. Steve is obsessed with Vampires and has quite the collection of books and films based on them. Steve is described as being a bad influence on Darren and is also known to have a hot temper. Larten Crepsley- Vampire mentor to Darren. Larten can heal wounds with his saliva and breathe a gas that can knock its victims unconscious for 30 minutes. In case some of you aren't familiar with the film, here is a bit of back story. Cirque Du Freak: The Vampire's Assistant is a film directed by Paul Weitz and was released October 23,2009 by Universal Pictures. Cirque Du Freak: The Vampire's Assistant cost $40 million to make and grossed $39 million worldwide. The Film opened to mixed reviews by critics and Audience members alike. Since the film failed to meet its goal at the box office plans for a sequel were scrapped. OK normally here I'd list the differences between the book and the film but when I saw the film I didn't realize it was based on the first 3 books in the series. 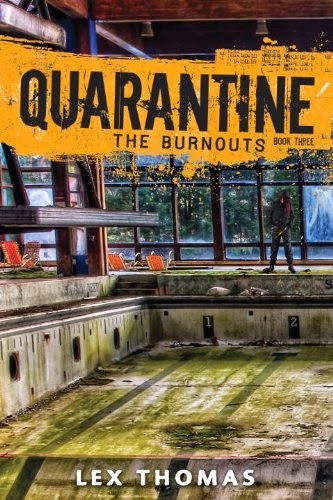 Since it would give away way to much of the books and I don't want to spoil those for anyone who hasn't read the series yet I'm not going to compare both this week. Honestly the film is so far removed from the plot of the book it really took the joy out of reading the rest of the series for me. So I guess this begs the question which do I prefer? The book hands down. I hated the Actor who played Larten. All I kept seeing him as that dude from Talladega Nights pretending to be a Vampire. Also I was really bummed to find out that I had been spoiled on books 2 & 3. Normally I'd recommend seeing the film but in this case unless you've read past the first 3 books I'd personally advise staying far, far away. Who is your favorite character from Cirque Du Freak? Would you rather be telepathic or have the ability to talk to animals?